We’re already into the quarterfinals of the WWE World Heavyweight Championship Tournament to crown a new champion, and there’s already been a few surprises. 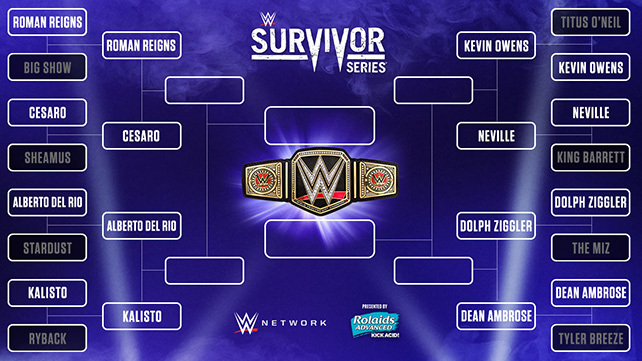 Our hosts breakdown the action so far and lay down their predictions for who will win the tournament at the upcoming Survivor Series PPV and emerge as the new face of the WWE. Tags: 780 Sports, Alberto Del Rio, Big E Langston, Bray Wyatt, Chris Jericho, Damien Sandow, Daniel Bryan, Dean Ambrose, Dolph Ziggler, John Cena, Mark Henry, Professional wrestling, Seth Rollins, Triple H, Turnbuckle Radio, WWE, WWE Raw, WWE SmackDown. Bookmark the permalink.